For over 100 years and across three centuries, Saigon Notre-Dame Cathedral, the official name is the Basilica of St. Mary the Immaculate Conception was splendid, magnificent and majestic ; is considered a masterpiece of urban architecture of Saigon. Notre Dame is a typical work make up the face of urban architecture in Saigon – Ho Chi Minh City. Notre Dame Cathedral was built up in three years and was completed in 1880. This is a religious building characteristic architecture from the French colonial period due J.Bourard architect designed, with all construction materials from cement and steel to screw supposedly brought from France. 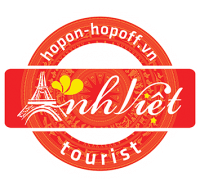 Today, the building retains its ancient features old, is a superlative attractions of Ho Chi Minh City. During the day , people gather around Sai Gon Notre-Dame Cathedral to photographing , especially the people who wanna make a wedding album. Notre Dame not only city residents, but also the sights of many international tourists. Every day, there are hundreds of foreign delegations to visit, photograph and ceremony in this church. Saigon Central Post Office is a post office in the downtown Ho located left Saigon Notre-Dame Cathedral. The building was constructed when Vietnam was part of French Indochina in the late 19th century. It counts with Gothic, Renaissance and French influences. It was constructed between 1886-1891 and is now a tourist attraction. Saigon Central Post Office is a project to bring the skillful combination between European style with Asian decor. After more than 100 years, this place remained out of power while building. Here, apart from sending a postcard, phone call, you can visit, shop and take pictures. The front of the building was decorated in rectangle cases on which the names of the inventors of telegram and electric professions. On the cases are the pictures of men and women wearing laurel wreaths. On the arc of the building, there is a huge clock with roman numerals instead of numbers. The frames of the windows are creatively designed with engaged piers, crowned with imaginative human-headed capitals. The green window shutters resemble any other French colonial architecture. The main entrance of the Central Post Office is decorated with intricate ironwork, creating a strange architectural style drawing curiosity of visitors. Inside the Saigon Central Post office of special note are two painted maps that were created just after the post office was built, the first one located on the left side of the building is a map of Southern Vietnam and Cambodia titled Lignes telegraphiques du Sud Vietnam et Cambodge 1892 which translates to “Telegraphic lines of Southern Vietnam and Cambodia 1892”. The second map of greater Saigon is titled Saigon et ses environs 1892 that translates as “Saigon and its surroundings 1892”.